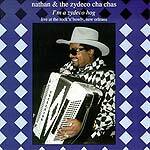 CD reviews: "I'm a Zydeco Hog," "Cajun Pride" and "Gon' Be Jus' Fine"
These reviews first appeared in the August 8, 1997 edition of the North County Times. A new set of releases from Rounder shows both the old and the new of Louisiana's French folk musics. Just reading the liner notes of the CDs by Nathan Williams, Jo-El Sonnier and Chris Ardoin is an education all in itself. For instance, there are three distinct traditions within Louisiana's French-speaking community: the colonial New Orleans heritage, the Cajuns (who came by way of Canada) and a large expatriate Haitian Creole community dating back to the mid-1800s. How a large French community came to adopt a fairly recent German invention  the accordion  as the main instrument of its traditional musics would take up a whole book by itself. Nathan Williams and his Zydeco Cha Chas maintain the traditional Creole sound; Williams carries the torch of the late Clifton Chenier. Still, no matter how faithfully Williams sticks to the traditions of zydeco, his playing is so exuberant that it is in its way as modern and accessible as anyone's. Williams is one of the best accordionists on the scene; there's no gimmickery  the man does with a squeeze box what B.B. King does with a guitar. Jo-El Sonnier is a Cajun traditionalist and is also one of the best players of accordion around. While Williams plays the large piano accordion associated with Lawrence Welk, Sonnier plays the smaller diatonic accordion. IT's a different, albeit closely related, sound in both the higher soprano range of the instrument and the more restrained swing of Cajun music as opposed to zydeco. He's joined on his new release by Beausoleil's Michael and David Doucet; his only real concession to anything remotely contemporary is a Cajunized version of Chuck Berry's "Johnny B. Goode," complete with French lyrics. 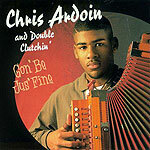 Finally, there is Chris Ardoin, grandnephew of the same legendary Amede Ardoin who is paid tribute on Sonnier's album. Young Ardoin's family legacy includes some of the very earliest Creole/zydeco recordings, but the 15-year-old phenom is one of the most modern of Louisiana performers, incorporating hip hop and rock into his music  known locally (according to the liner notes) as "double clutching." Most of the songs are sung in English; the backbeat owes as much to Stevie Wonder as Boozoo Chavis (and how many zydeco albums include a "bonus dance mix" track? ), but there's still a distinct Creole swing to the music. As with Sonnier, there's a tribute to Amede Ardoin  a swinging cover of his "Amede Two Step" (retitled "Ardoin Two Step") that both captures the feeling of tradition and propels the music forward into a new generation.